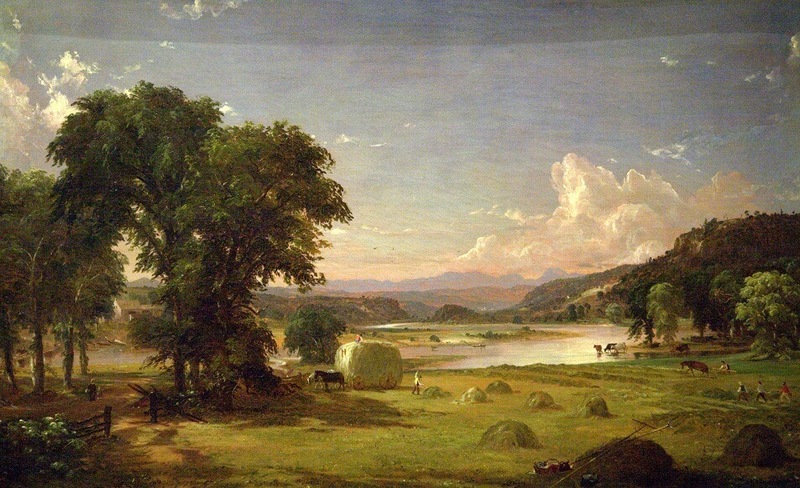 The American tradition of romantic landscape painting began in the mid-1820s with the work of Thomas Cole and Asher B. Durand. Cole and his followers were influenced by Dutch and British traditions of landscape painting. Cole believed that Americas were given a second chance to live within undisturbed natural paradise, something squandered by the Europeans. Furthermore, he believed it was incumbent upon Americans to embrace nature’s grandeur and majesty, to live in harmony with the bounty and spectacle of the environment. Artists who followed Cole, known as the Hudson River School of painters, initially painted subjects on the east coast in the Catskill and Adirondack mountains. Later, artists of the second generation ventured beyond the Mississippi to capture the splendor of Yosemite, the Grand Canyon and South American Andes. 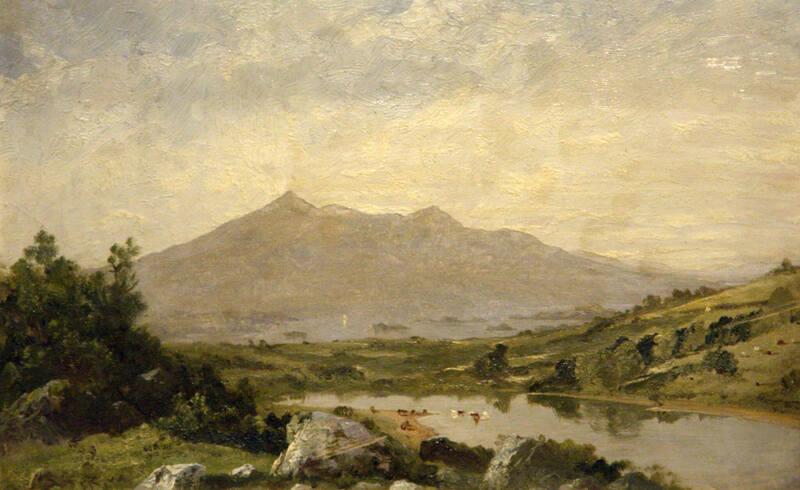 The American landscape tradition did not end with the Hudson River School. As the 19th century progressed, artists embraced the ideas of the French Barbizon painters, adopting a less formal approach, painting in the outdoors, or plein air painting, recording their experiences not embellishing on nature as with the previous generations. John Kensett. Lakes of Killary, 1856. Oil on board. Hudson River School painters would venture into the wilderness in the summer and early fall to sketch the landscape. Returning to the studio, they would begin to work on compositions to be shown at the spring exhibitions. Often they would do a small version of composition before attempting a larger painting. Such as is the case with this work, which is the earlier, small version of the painting at the Milwaukee Museum of Art.